Yesterday, Apple announced new MacBooks and MacBook Pro’s. The 17″ MacBook Pro has the same housing as the previous version, but the 15″ has an updated casing which is similar to the iMacs. The 13″ MacBook is also updated and has the same casing as the MacBook Pro, making the difference between the two product families smaller. I think the new looks are pretty nice. A nice innovation is the new trackpad is made from glass and support multi touch gestures (similar to the iPhone I suppose). The screen of the new laptops are using LED backlight and in order to support external monitors, a Mini Displayport connector is used. Unfortunately, the 13″ MacBook lacks a Firewire port. 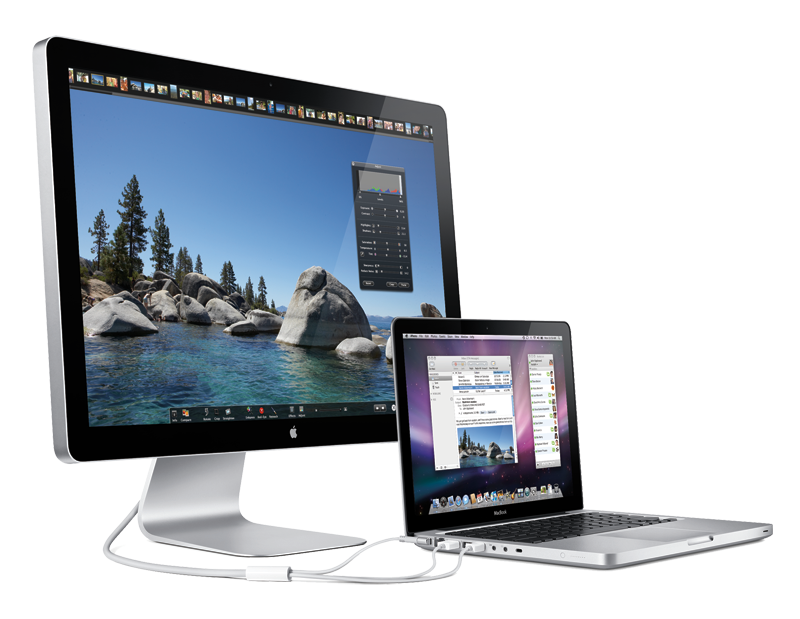 In addition to the new laptops, Apple also introduced a 24″ Cinema Display, specifically targeted to laptops. A very good feature of this monitor is the inclusion of a MagSafe powerconnector, which charges a MacBook without the need of a seperate power adapter. According to Twitter, the new laptops are received pretty well. The main complaint is the missing Firewire connector and the pricing of the new models. Fortunately, the old (white) MacBook is still available for a reduced price.